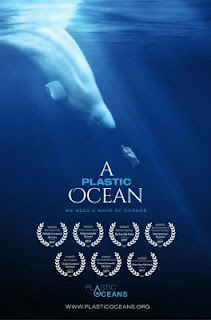 The International Ocean Film Tour is not a film festival per se, but it is presented in conjunction with the organizers of last spring's Philadelphia Environmental Film Festival. Philly Film-goers come out on December 1, 2017 to the URBN Annex Screening Room (Drexel Campus) to experience a thrilling lineup of the very best in ocean adventures and environmental documentaries. The program features 7 new and exciting short documentaries accompanied by a sensational soundtrack. The one-of-a-kind adventure film event is appropriate for all ages. “We are thrilled to premiere the International Ocean Film Tour in Philadelphia,” said Debra Wolf Goldstein, Executive Director of the Philadelphia Environmental Film Festival. “Being able to bring unique, environmental focused film experiences for all ages is a true mission of ours and the International Ocean Film Tour is the perfect way to celebrate that mission!”. THE WEEKEND SAILOR Ramón Carlín: an amateur shows the pros how to sail around the world Seventeen yachts, seven nations, 27,000 miles at sea: 1973 marks the year a sailing trip around the world turned into a race. But when the first Whitbread Round The World Yacht Race sets off from Portsmouth, England, it’s not only the Empire’s most renowned sailing teams on the start line. There’s a dark horse in the competition: Ramón Carlín, aptly named the Weekend Sailor, decides to take part and he’s got company: With a motley crew of friends and family and next to no sailing experience, the 50-year-old Mexican embarks on a voyage to remember. Shunned by the press at first, Carlín turns into the unlikely hot contender of the race. THE WEEKEND SAILOR tells the legendary story of a man the sailing world wasn’t ready for. SHOREBREAK – THE CLARK LITTLE STORY First he was a surfer, then he became a photographer. Hawaiian Clark Little has managed to turn his passion for the ocean into a career. Chasing shorebreaks is his bread and butter and capturing the perfect wave is his vocation. His ability to frame the power of the water in a single shot makes his photos a love letter to the ocean. THE ACCORD How to handle the North Atlantic wind: surfing in Iceland If you want to surf in Iceland, you need to know what you’re up against: The forces of nature reign fiercely on this northern island. The grimmest is the North Atlantic wind. In the mind of surfer Heiðar Logi Elíasson this wind is a red-bearded drunkard, unpredictable and capricious. The rough beauty of Iceland and its inhabitants’ black humour set the stage for THE ACCORD, the tale of a surfer making friends with a force of nature. This award-winning surf film serves up the swell ice-cold, proving what a paradise Iceland can be when wind and surfer become brothers beneath the tumultuous skies. THE LEGACY It has taken only fifty years to destroy dozens of healthy and thriving marine ecosystems due to overfishing and pollution. Lots of species have vanished from their natural habitat. Almost twenty years ago the pacific manta ray was forced to leave his home in the Gulf of California but it has found a new one in a Mexican archipelago - after it was declared a protected area. The short film “The Legacy” shows how endangered species can recover - if we give them a chance. problem is not only the visible pollution: dirty beaches for example. Microplastics - tiny little pieces of plastic - almost invisible, are even more dangerous. It floats in our oceans and gathers in gigantic garbage patches. And from there it finds its way into the food chain. Adventurer and filmmaker Craig Leeson has tracked down plastic waste to get to the bottom of the problem. He connects our consumer behavior with ocean pollution and asks the crucial question: What must we do to save our oceans? CHAPTER ONE Kiteboarding has become more and more popular in recent years. Seems like a good time to take a look back to the beginnings when Windsurfing Champion Robby Naish and Big Wave legend Pete Cabrinha were among the first ones to try the new board sport. By now Kiteboarding has also got its original heros: Keahi de Aboitiz, Youri Zoon, Bruna Kayija and many more. In „Chapter One“ we follow them to the worlds best Kiteboarding spots on the planet.